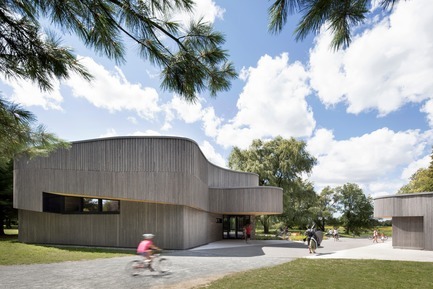 The discovery center was recognized by the Canadian Green Building Awards 2018, the Canadian Wood Council's Wood Design&Building Award 2018, the American Architecture Prize 2017 and won the Sustainable Development Award and Use of Wood Award at the Grands Prix du Design 2018. 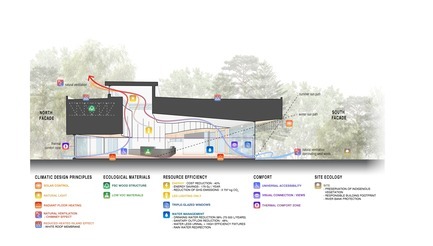 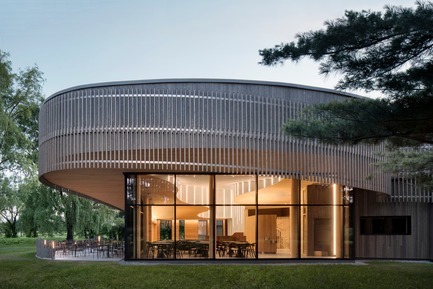 The Îles-de-Boucherville National Park, which offers great outdoor experiences just minutes away from downtown-Montreal, is now equipped with a new discovery and services center designed by Smith Vigeant Architectes. 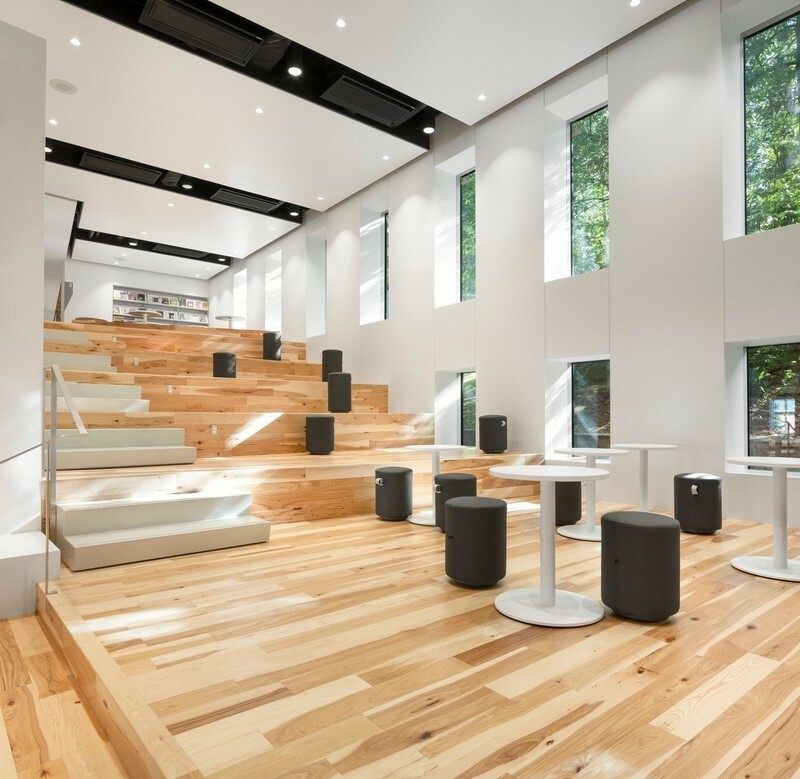 Architectes’ expertise in wood construction design. 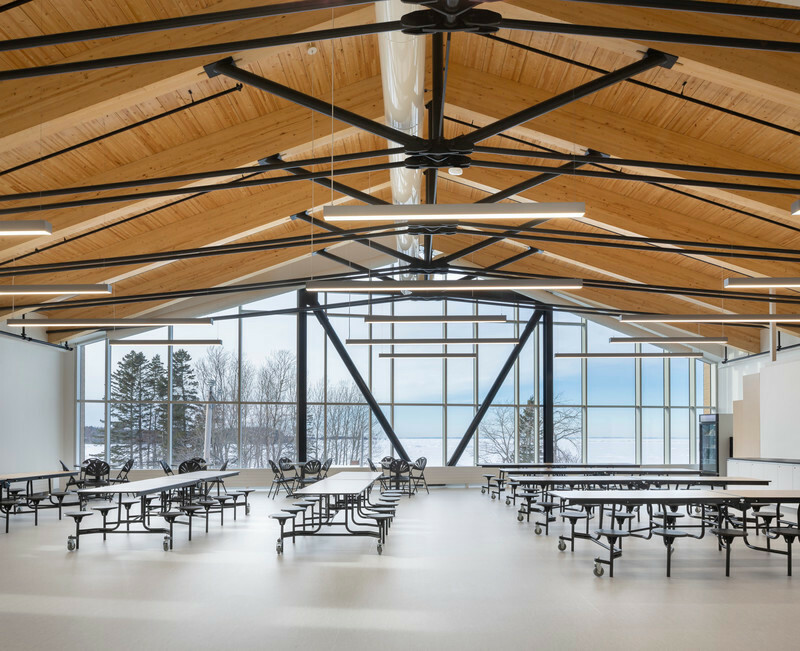 The conceptual quality of this project is the result of an integrated design process and active collaboration between the architects, engineers and Sepaq’s team. 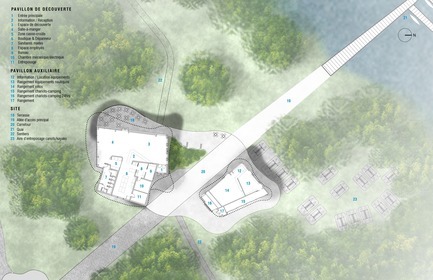 The center invites visitors on a discovery of nature and provides a place for social interaction. 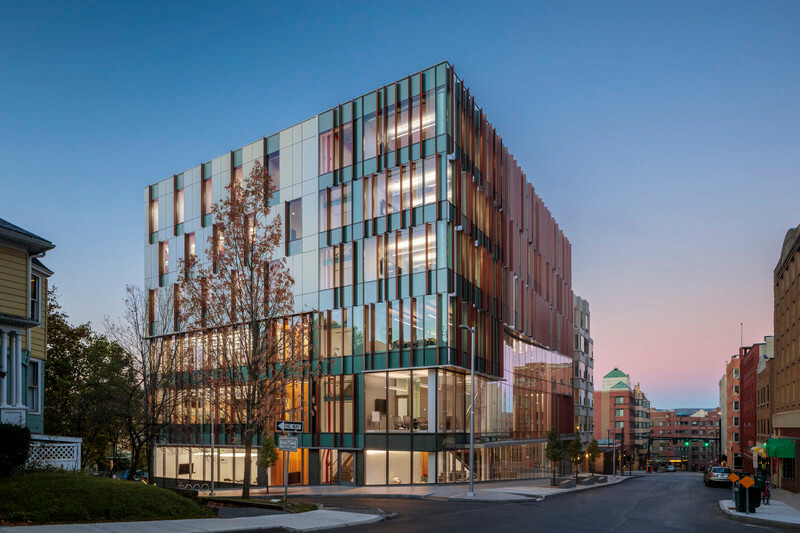 The architecture respects and reflects its environment as the building achieves high standards of environmental performance and was designed to fit harmoniously within the site. 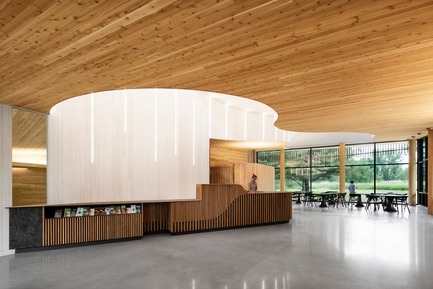 The buildings undulated edges were carefully placed to minimize tree cutting, and encourage visitors to wander around and progressively discover the space. 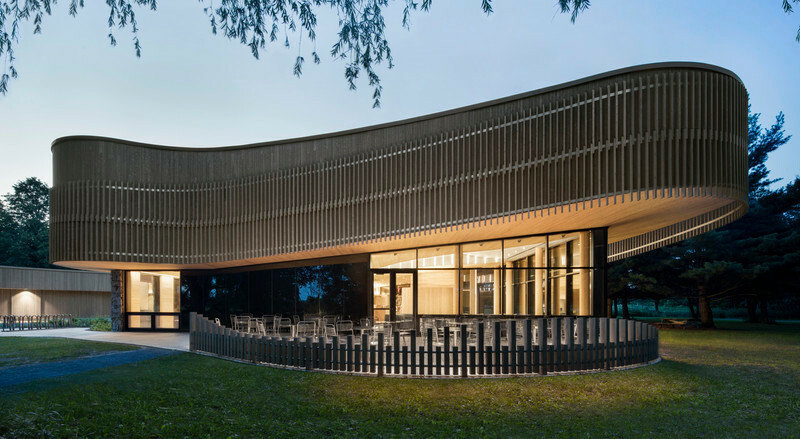 The fluid motion is accentuated by a textured veil: a succession of wooden slats overlapping the siding all around the building. 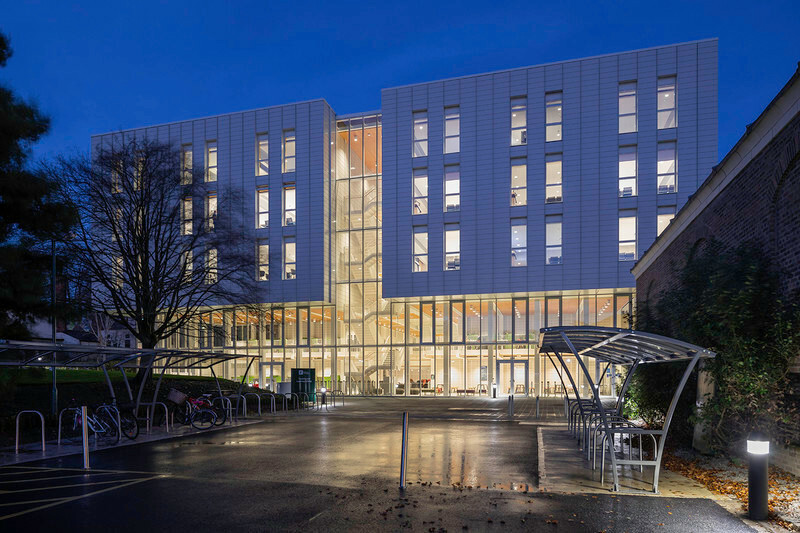 This cladding also acts as a light filter and produces shadows dancing across the ground, reminding of the willows’ foliage. 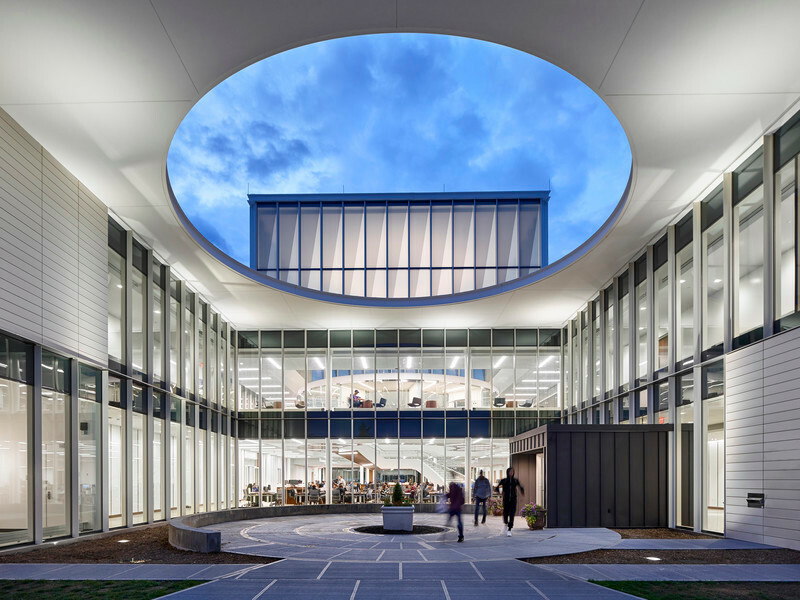 Inside, a curvy channel-like recess on the ceiling and a skylight bring in natural light and enhances natural ventilation. 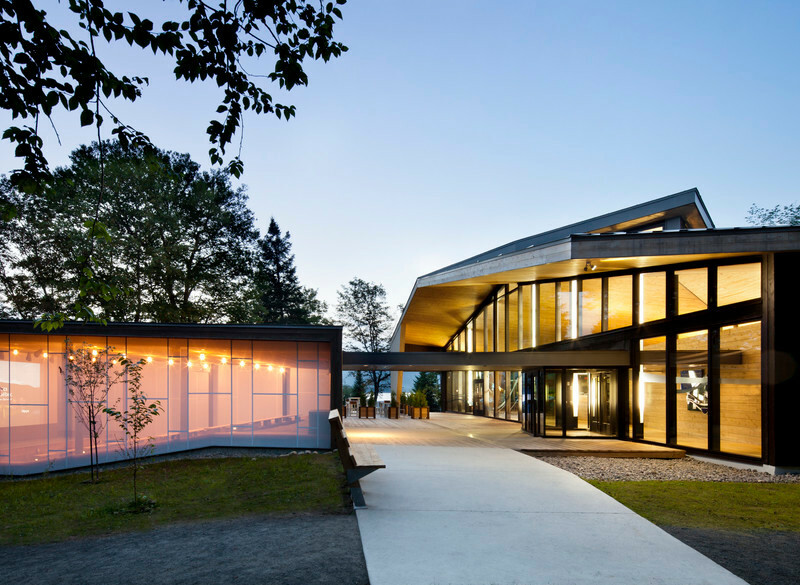 The architectural composition is all tied-in together by a glass curtain wall which offers direct views of the parks from the inside and reflecting nature on the tainted glass outside. 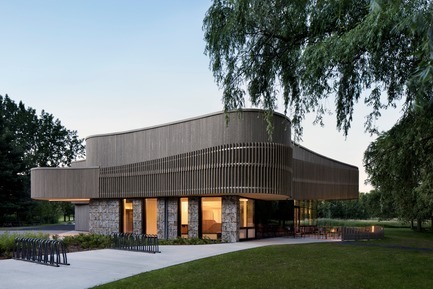 The discovery and services center of the Îles-de-Boucherville National Park has been awarded by the prestigious American Architecture Prize and is currently in competition for other architecture and design awards. 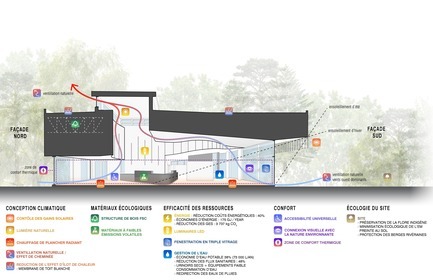 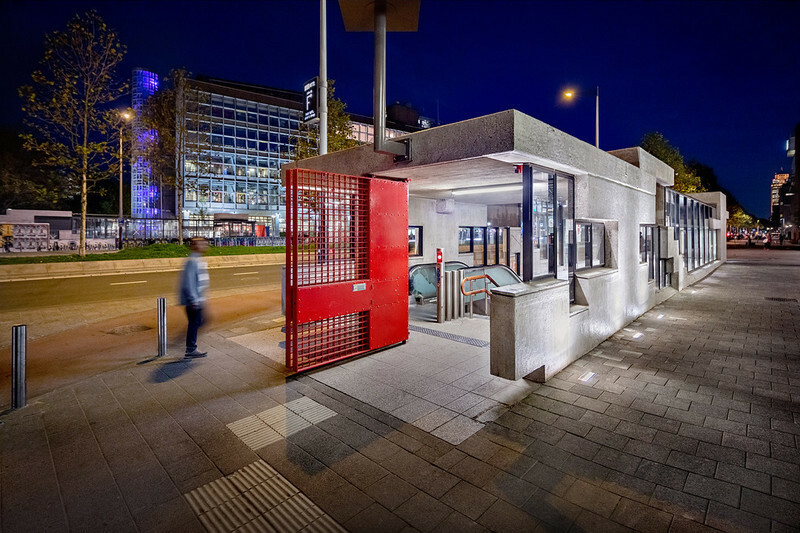 Architects: Smith Vigeant Architectes Inc. 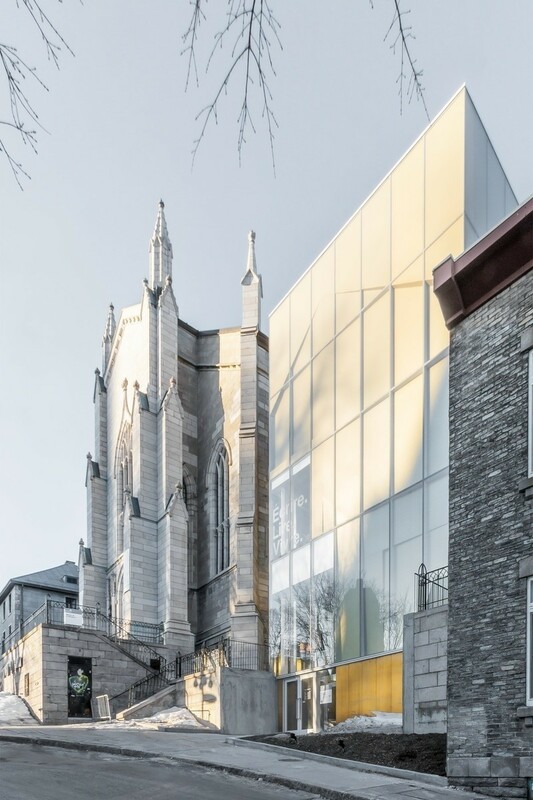 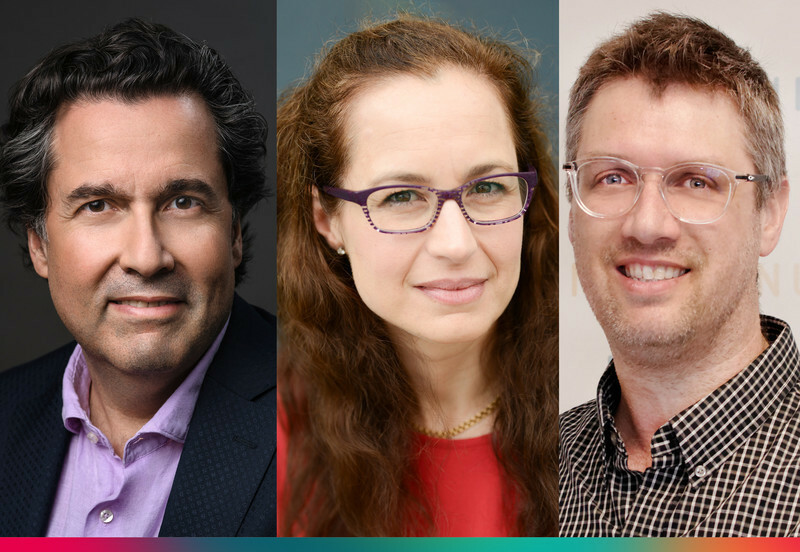 The multidisciplinary team at SVA is made up of a dynamic group of architects, environmental designers, interior designers and technologists whose broad range of competencies and experience play an essential role in the creative process of the firm. 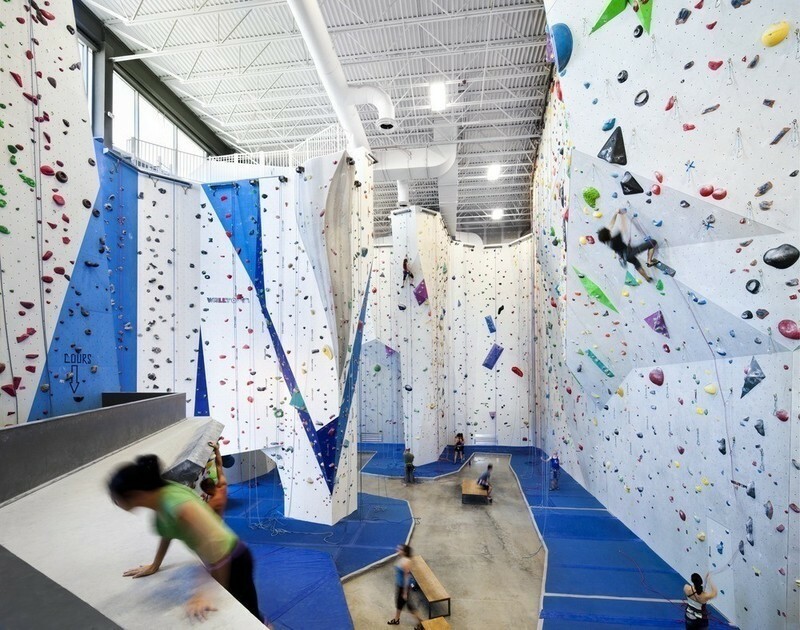 With 25 years of experience spanning across all sectors, SVA is recognized for the quality of its work and its capacity to constantly adapt to the needs of new clients.